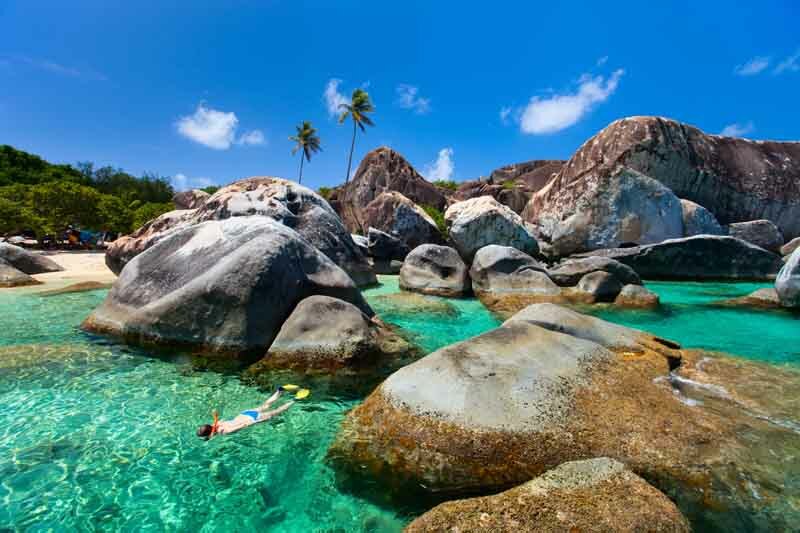 Scattered throughout the Caribbean, the British Virgin Islands are a collection of 60 pristine islands featuring breathtaking dive sites, sun-drenched harbors, and some of the best cruising grounds in the Caribbean. You’ll find a virtual kaleidoscope of turquoise waters, white-sand beaches, coastal reefs, and rugged, hilly terrain. With so many exquisite islands and secret spots to explore, you could get lost in the thrill and adventure of navigating this stunning destination. 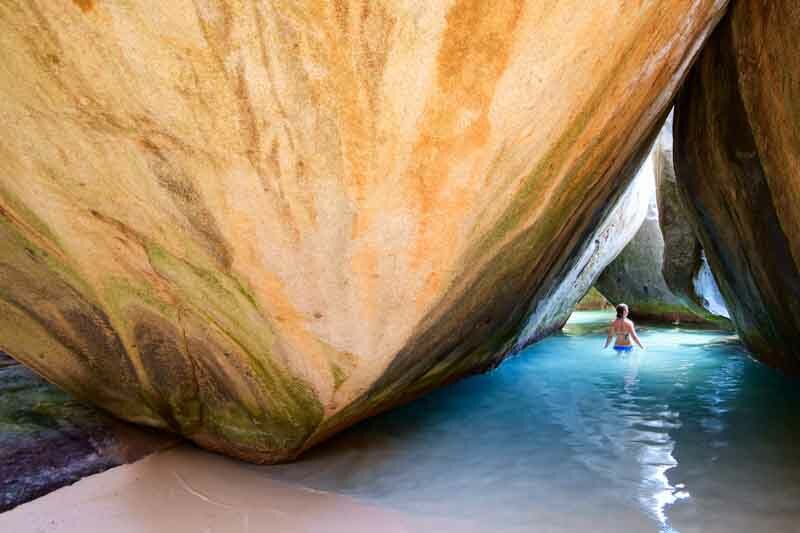 But there are also some better-known, must-see attractions to round-out your exclusive adventure, such as The Baths on Virgin Gorda, an awe-inspiring stretch of coastline piled-high with immense boulders. A true natural wonder. Despite the hurricanes that wreaked havoc on the area in 2017, the rebuilding and repair efforts got underway immediately, and the BVIs are welcoming visitors with renewed strength and vigor. Supporting local tourism helps the islands flourish and grow their economy, ensuring the BVIs will continue as one of the premier destinations in the Caribbean. 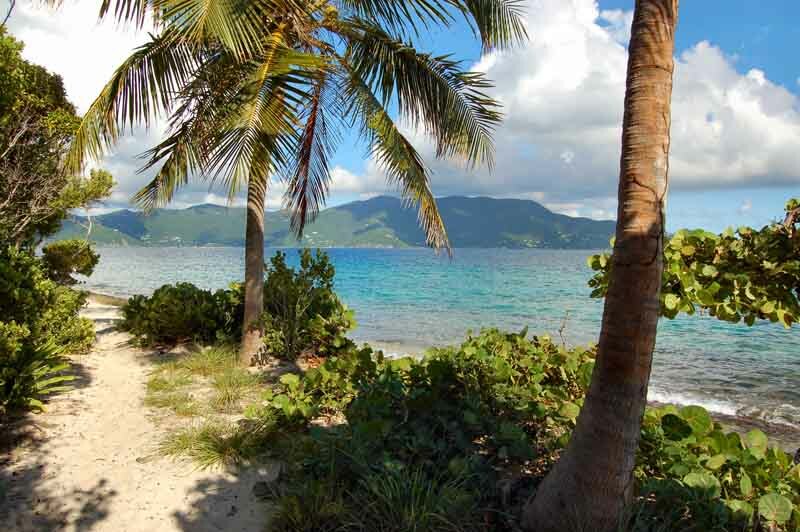 The BVIs are family friendly and make the perfect playground for travelers of all ages. Whether you’re hoping for a relaxing tranquil retreat, a festive party scene with sailboat racing, or an experience with a little more adventure, your journey can be customized to satisfy your every desire. Your journey begins when you meet your charter on the private Guana Island at a protected anchorage in White Bay. Crystal clear water and brilliant white sand beaches set the tone for what is yet to come. With several smaller coral reefs and calm, shallow depths, it’s the perfect spot for snorkeling. Admire the gorgeous setting as you enjoy a cocktail or delicious meal prepared by your chef aboard your yacht. 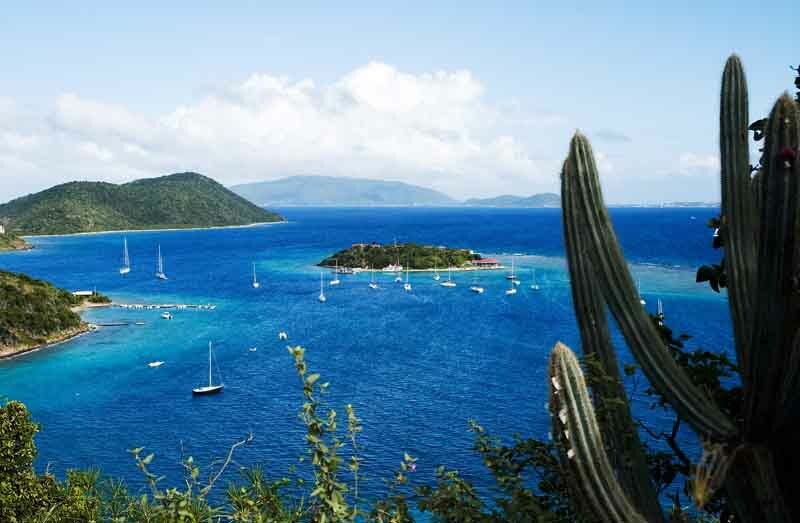 Sit back and enjoy the scenic coastal cruise to Norman Island, a well-known destination for cruisers and divers alike. 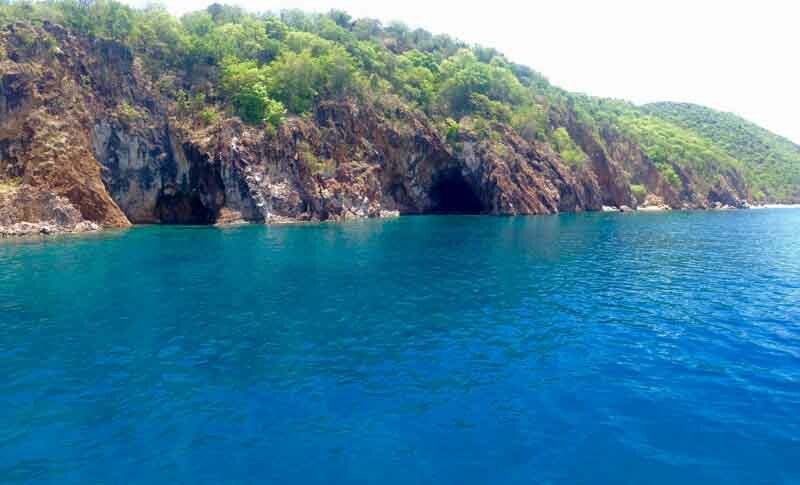 Just outside the western edge of the Bight anchorage, you’ll find three water-level caves at the base of the cliffs, where the snorkeling is remarkable and the cave exploration is mystical. Nearby Pelican Island offers even more exceptional dive sites to discover. Anchored in the Bight is a modern-day replica of an old famed pirate ship named the “Willie T,” which is now known as a landmark bar and restaurant. A perfect spot to admire your surroundings. Head to Sprat Bay at Peter Island for a tropical, yet uninhabited feel. Its natural beauty is evident upon arrival, with water’s-edge coconut palms, powdery white sand, and dramatic rocky areas toward the end of the bay. 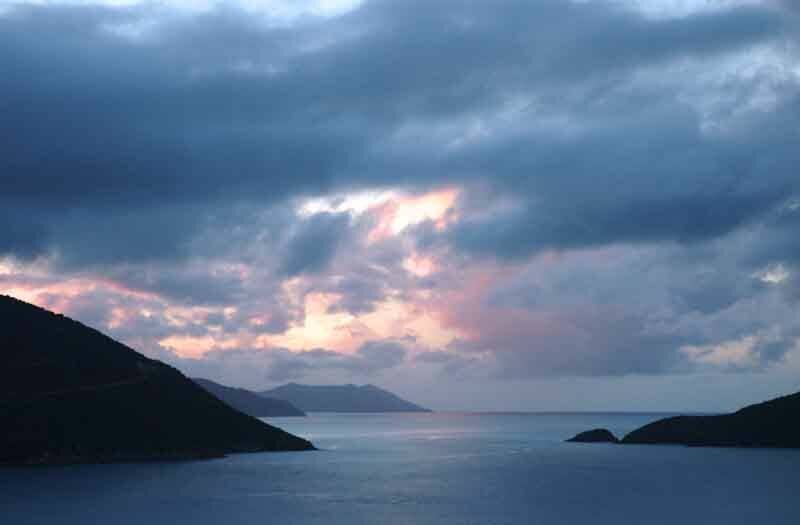 Venture ashore to explore hiking and biking trails through the tropical flora and fauna indigenous to Peter Island. 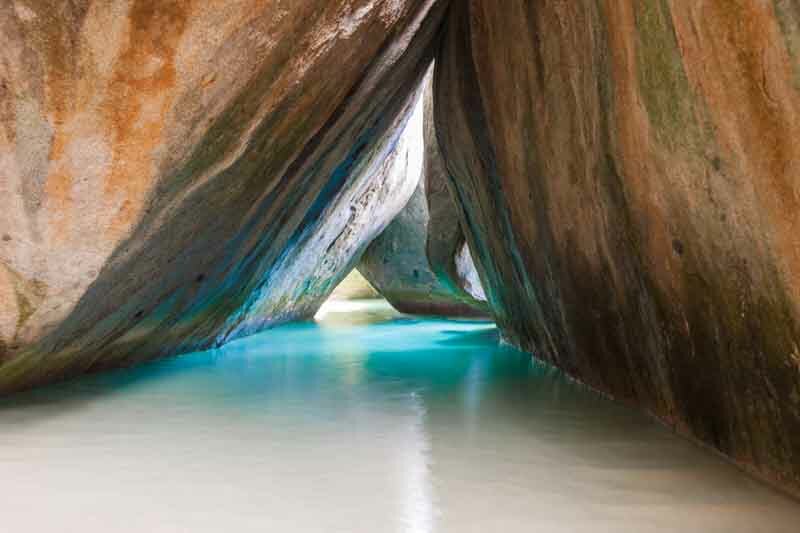 A stopover at Virgin Gorda wouldn’t be complete without a visit to The Baths, where you’ll marvel at the massive boulders arranged so magically, creating enigmatic hollows and tiny tidal pools within themselves. Take the trail to Gorda Peak, Virgin Gorda’s highest point, for dramatic sweeping views of the surrounding islands. Quiet coves, protected anchorages, and natural sanctuaries are yours to discover. The protected anchorage of Gorda Sound is one of the world’s greatest watersports meccas. The Sound is surrounded by four islands and connecting reef structures, so the waters are calm and tranquil. Take a sailing lesson, go kiteboarding, paddle-boarding, or simply admire the peaceful respite. As your yacht sets course for the island of Jost Van Dyke, prepare to be amazed by a pristine haven of lush green hills, stunning white sand, and aquamarine surf. The island is also home to the famous Foxy’s, a lively bar frequented by free-spirited boaters for its live music and refreshing cocktails. Sample the local vibe before heading to your next spot. Make time for one last excursion to Marina Cay and experience yet another idyllic BVI beach before heading back to Beef Island and Trellis Bay for your return home. CLIMATE: The climate in the British Virgin Islands is tropical, hot throughout the year, and also influenced by the trade winds, with a more pleasant period, from December to March, when the daily average temperature is around 24/25 °C (75/77 °F), and a hotter and sultry period, from May to October, when the daily averages are around 28 °C (82 °F).